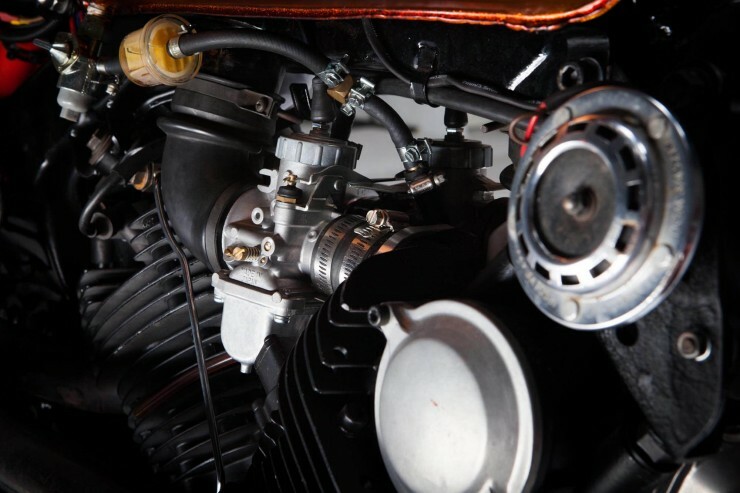 In 1981 Yamaha released the XV750 Virago – their first V-twin motorcycle and a big step into the American-style cruiser market which was dominated at the time by Harley-Davidson. 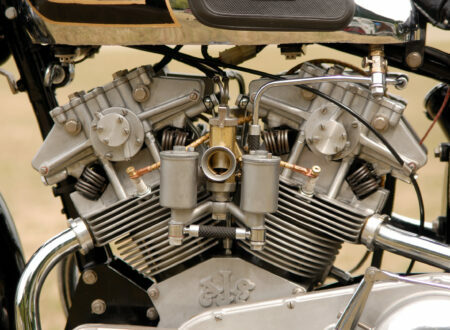 From an engineering perspective, the Virago was an interesting bike – it used a pressed steel backbone which utilised the engine as a stressed member, and rather than using the more traditional chain or belt drive it went with a shaft drive, meaning less maintenance for new owners. 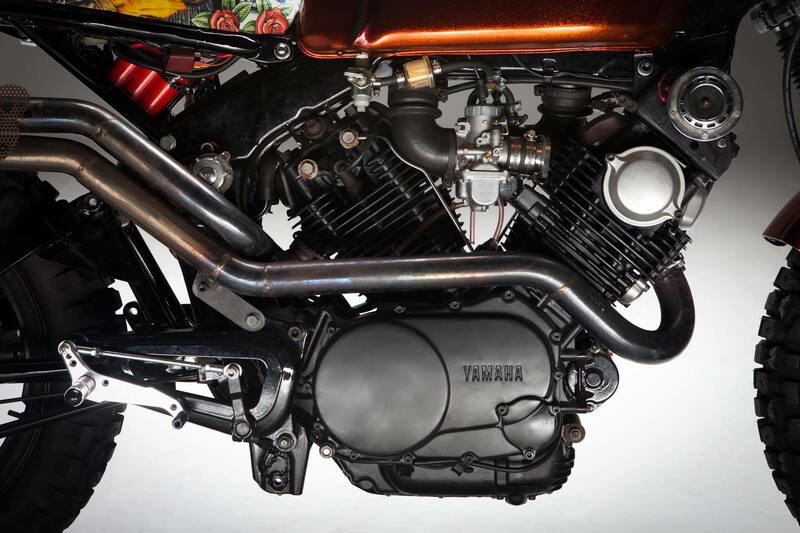 Although the Virago was always popular, it never achieved the same cult status as its rivals from Harley, despite offering more reliability at less cost. 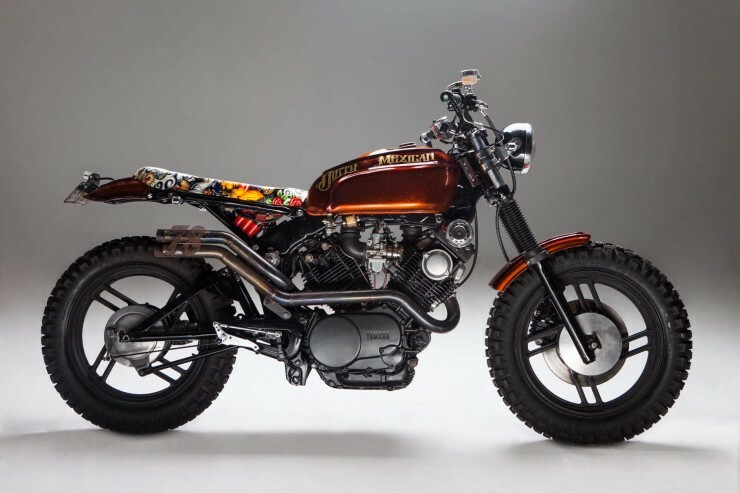 By 1998, after an impressive 17 year production run, Yamaha ceased production of the Virago and began to focus on producing its replacement – the DragStar 650. 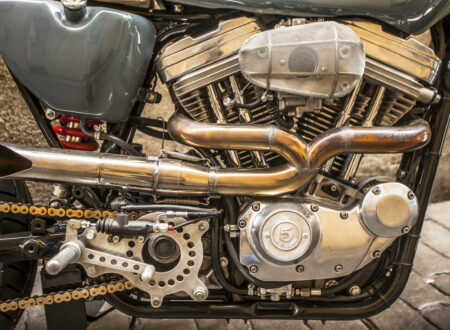 In recent years, the humble Virago has seen a renaissance of sorts. 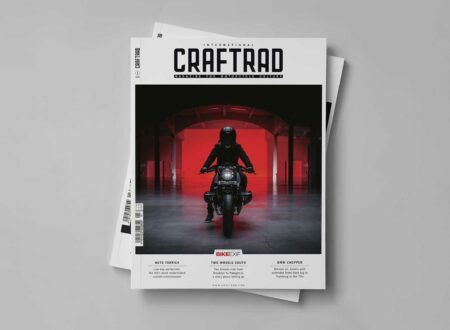 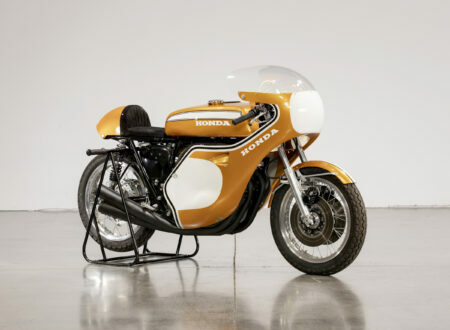 Men like John Ryland from Classified Moto and Greg Hageman from Hageman Motorcycles have taken the budget cruiser and rebuilt them into some of the most aesthetically beautiful custom motorcycles you’ll find anywhere – an ugly duckling transformation if ever there was one. 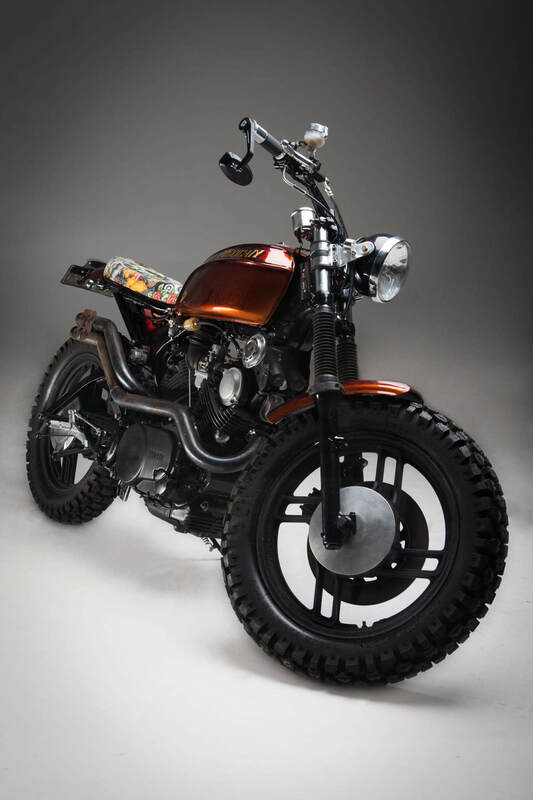 The XV750 scrambler you see here is the work of Jacques Peters, a resident of Perth on the western half of Australia. 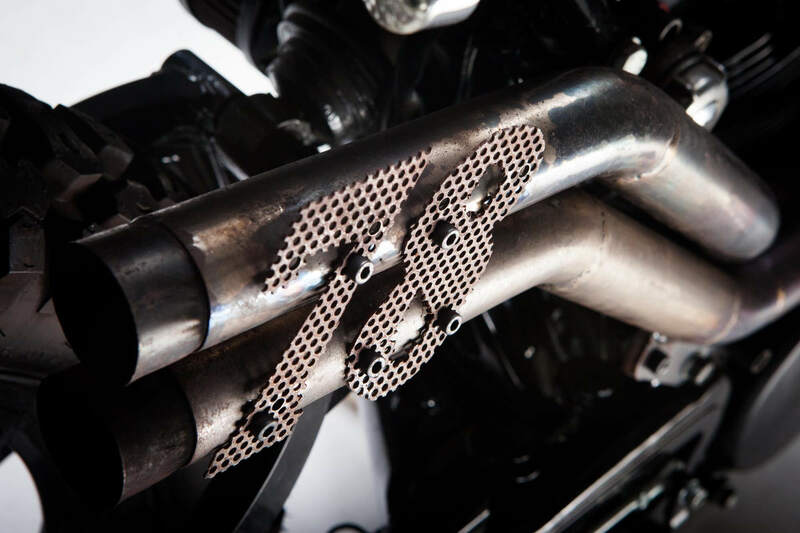 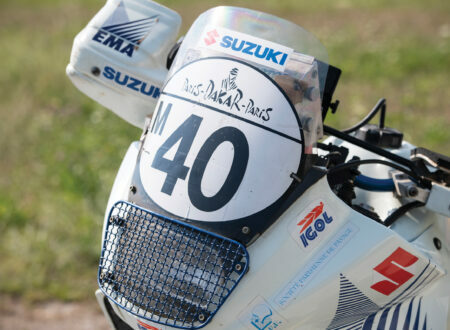 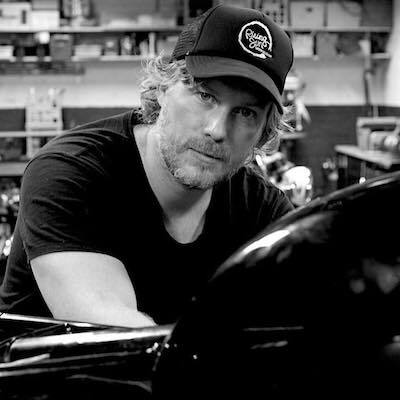 Jacques bought the bike unlicensed and non-running from South Africa back in 2013, and immediately set to work on it with sage advice from Greg Hageman – a man very familiar with the model. 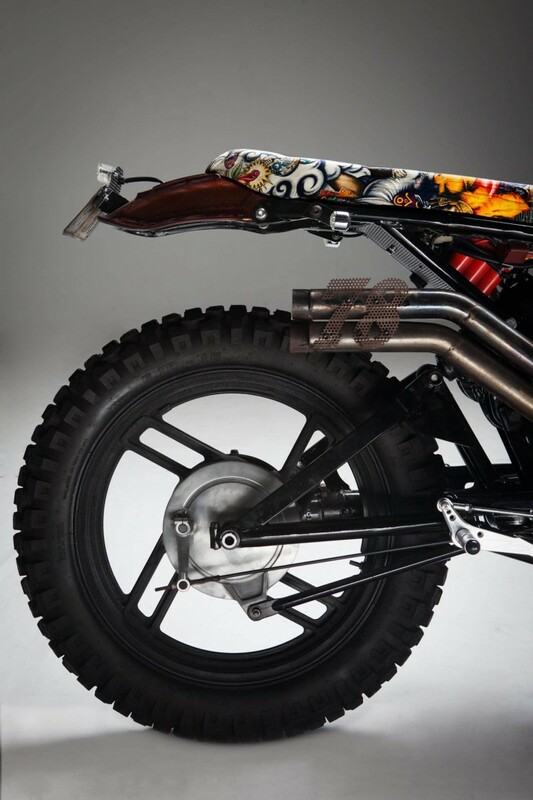 Rather than creating a cafe racer like most of the other builds based on the Virago, Jacques decided to go for something a little more dirty and a little less traditional. 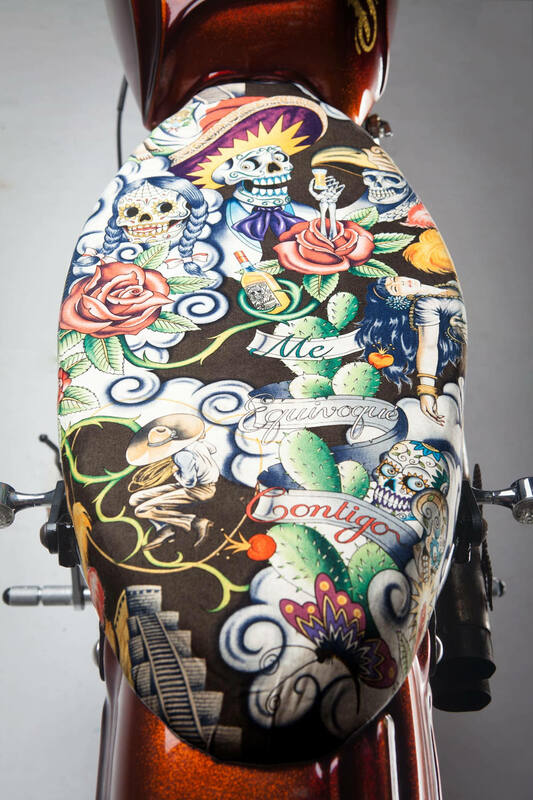 He settled on a modern scrambler with some rather unique touches – including a seat upholstered in a Mexican material left from some custom work he had done in South Africa a few years prior. 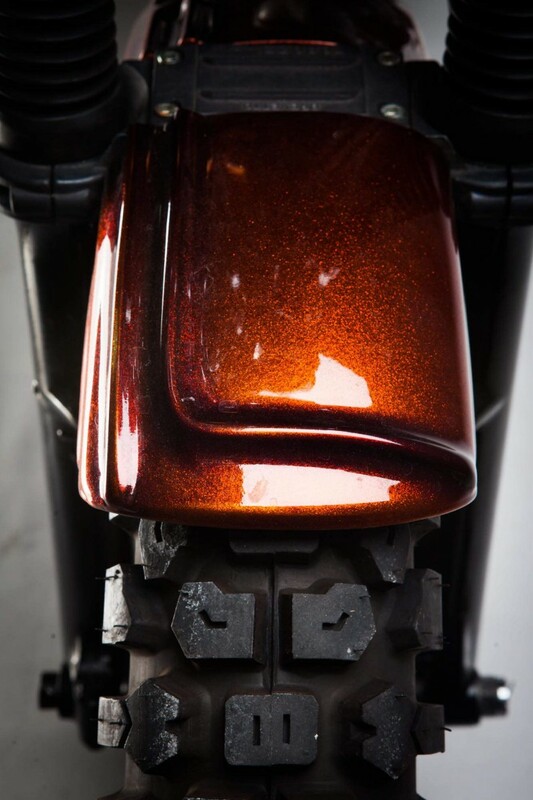 In order to get a larger front tire, a rear to front conversion was needed, followed by a new set of wheels, new wheel bearings and a custom front fender from Sideshow Cycles. 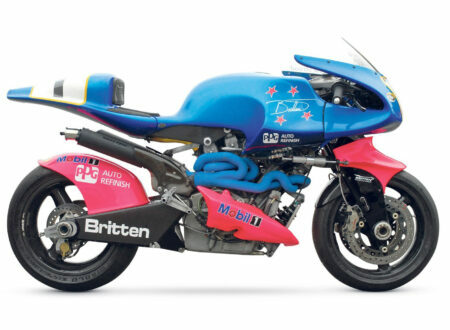 The next order of business was fitting the new headlight, hand controls, grips, tracker handlebars, and blinkers, as well as a custom made fuel tank – fabricated and painted in-house by Jacques. 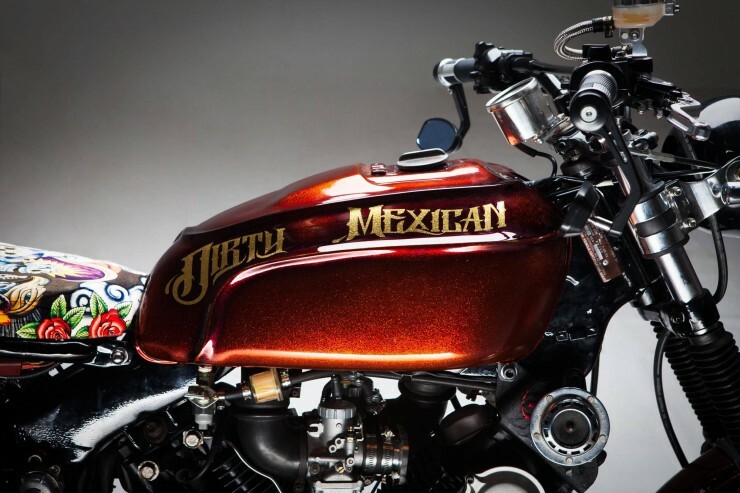 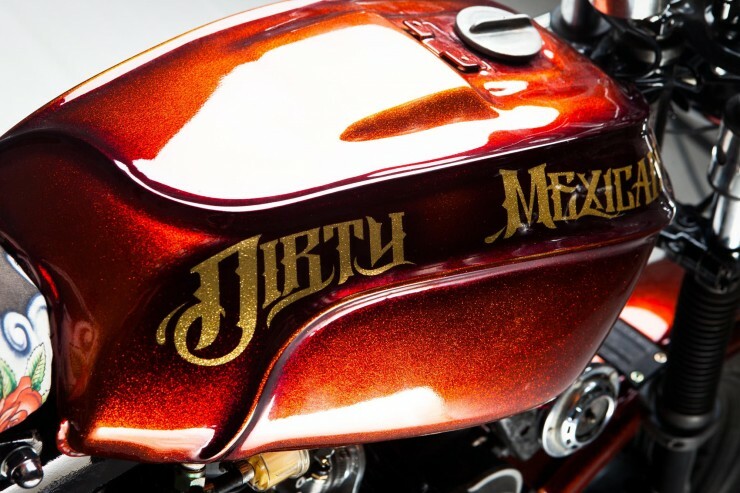 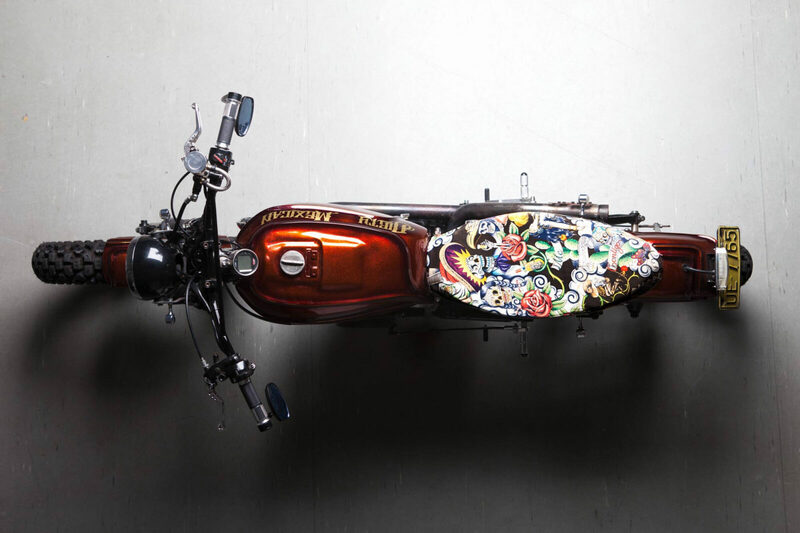 The completed bike was nicknamed “The Dirty Mexican” at the Distinguished Gentleman’s Ride, and the name stuck, to the point where Jacques painted it onto the side of the fuel tank and officially adopted it as the moniker for his first Perth-based custom. 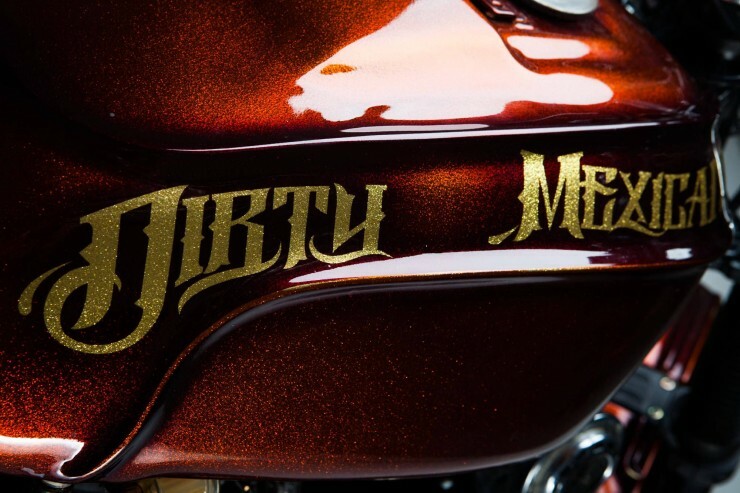 If you’d like to see more from Jacques you can click here to see his Facebook Page, if you’d like to bid on The Dirty Mexican, you can click here to visit its eBay listing. 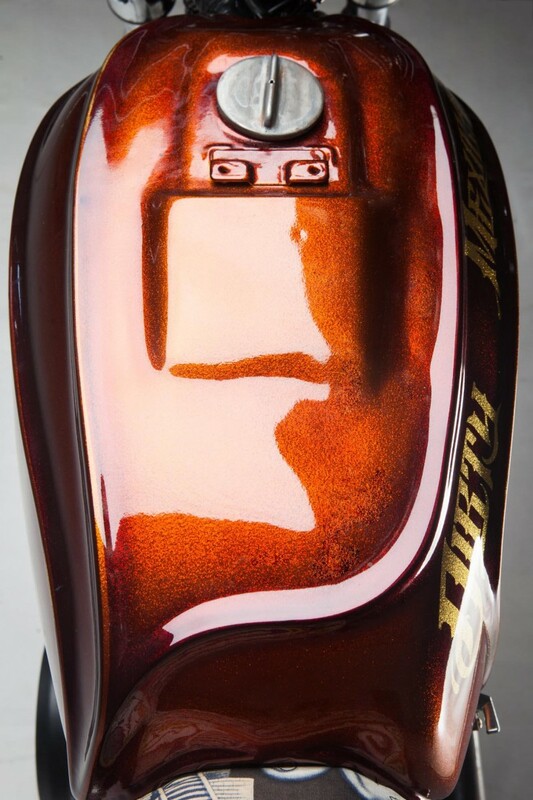 All images copyright – Manny Tamayo.